As I write this I am shocked that I have never written about this book before. I am deeply saddened it has come to an end, because it has kept me engrossed for such a long period of time. Rick Remender has become one of the best writers over the last few years, and I have found he loves two things: A magic/fantasy environment to develop his plots and slowly crafting characters and relationships to a natural climax. This title has been no different and its end has done just that. We finish the entire run, culminating the arcs since its creation; The Apocalypse Solution, The Dark Angel Saga, Otherworld and Final Execution. Remender has worked with well-established heroes and villains and tweaked them to make them his own. He takes Wolverine, Deadpool, Fantomex, Psylocke, Archangel into the Age of Apocalypse, the future and into the heart of the Omniverse, and picks up an alternate Nightcrawler, a young Apocalypse and Deathlok along the way. Before we discuss the narrative, we must make mention of the fantastic covers of the book. It has been my cover of the week on more than one occasion thanks to the work of Jerome Opena and Julian Totino Tedesco. They are always well drawn, coloured fantastically and have great team action shots. Phil Noto has pencilled this book with such passion and emotion. His environments are varied and beautiful but often dystopic. The action sequences always look epic and the emotional turmoil seeps through, similar to the deeply thoughtful and expressive dialogue and relationships. Psylocke’s face bears the stress of her actions throughout the book, and Evan carries the weight of inevitability on his shoulders. His deliberations and anguish are so visceral over the decisions he is asked to make. This is exquisitely expressed by Noto, as he focuses on bringing out the natural innocence of Apocalypse as a child. This issue contains mainly dialogue, which is ironic because Remender is a minimalist writer. We all know the characters, we know where they have come from, but we wait to see where they will go. More accurately we wait to see where Phil Noto takes them. This issue serves as a catharsis for all the characters, all the arcs, and from his letter, for Remender himself. Each member of the team may have not any obvious scars or changes to their lives, but they have battled through love, death, despair, and the future. 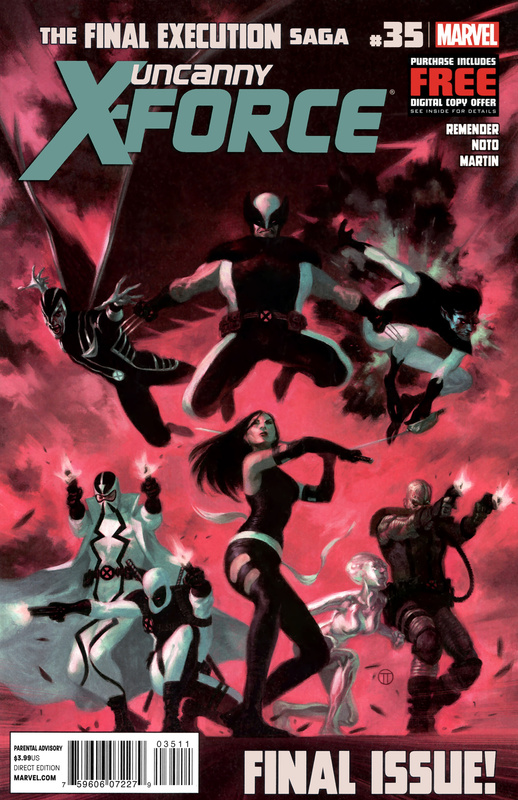 Wolverine continues to have the father son issues, Fantomex’s three brains finally free themselves, and Deadpool acts as a father and a hero for the first time in his life. Psylocke has had a terrible time; she loses her lover, more than once, kills her brother, loses all her emotions, and upon seeing a grim future version of herself, performs seppuku. Remender pushes her through this dark mental torture and leads her out into the bright white of the French Alps, with a resurrected romance. It’s genuinely moving and beautiful. However she is still not the key character to the book. This prestige lies with Evan Sabahnur: The boy who would be Apocalypse. He represents the major theme of the book; change for betterment of man. Can he stop himself from becoming the most powerful mutant alive and devouring the world? Can his upbringing be altered to prevent the dreadful Apocalypse, or should he just be killed as a child to the reconcile inevitable? This issue is explored and essentially enacted throughout the run. 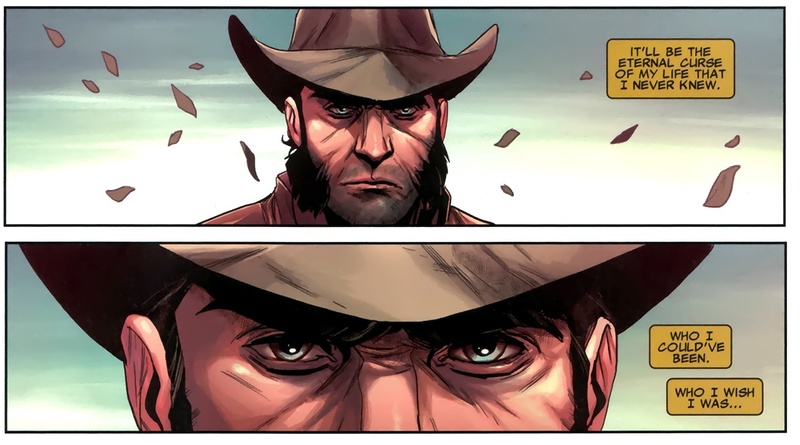 It is paralleled very cleverly with Daken, and Wolverine’s responsibility as a father. The other characters of the book have their past behind them, but with Evan, his future has the chance to be rewritten. If there is no hope for an innocent child, then what hope exists for path already taken for everyone else? Every author want to take a hero and stamp their calling card upon them, but Remender’s legacy lies not in the fights and stories laid behind him, but in the hearts and minds of his heroes. Remender takes his team to the edge of reason and insanity, but brings them back ready to face new adventures and fight anew.